Periodic Testing is an essential electrical safety service that will ensure all of your building’s wiring and fixed appliance are safe and will remove any of dangers. Fixed metal assets will be checked to ensure earthing is in place to avoid a very dangerous shock if the metal were to come live for any reason. The fuse-board will be inspected to ensure it is in good health and a trip test will be conducted on RCBs to ensure if there is a surge your fuse-board would keep you safe. Earthing and fuseboard testing are the main elements but there are also many more conducted such as Polarity Testing and an Earth Electrode Inspection. Periodic Inspections are new to many business managers in Ireland and so understanding what it is, why it’s needed and most importantly what you get from a periodic inspection is essential for making a good decision on it.  Keep your business and your staff safe from electrical injuries caused by old or faulty wiring. Having your building tested allows you to show that you were being safe and cautious. Our staff can spot faults that could result in your electrical equipment not lasting as long as it should. Having your electrics in working order all the time and avoiding faults means your staff can keep up the hard work always. This will vary largely depending on the size of the building, number of fuse-board, electrical fit-out and much more. We advise getting in touch with us for an accurate quote. The majority of business will require a periodic inspection once every 5 years. However certain businesses will require an inspection every 3 years. Please contact us to see which frequency would be appropriate for your business. After a periodic inspection, we will issue you with detailed reporting outlining the health of your buildings electrics. The report will also outline the faults found and any action needed to repair these faults. You will be issued with a certificate of inspection in order to show your compliance with regulations. The inspection is a check of the general health and quality of the electrics in the building to see if it is all safe and if anything dangerous is present. The most efficient time is before opening or after closing as many checks will involve having the power off for periods of time. We can also offer weekend slots for businesses who have no downtime during the week. Depending on the building it could take from 2 hours to 8 hours in general. Each floor can take 2 hours, so a 3-floor building will take a full evening. A 2 bedroom house, for example, would take 2 hours. These are only estimate so please contact us so we can give you a more accurate estimate.